due to the chassis bracing in my trunk, I can't put a sub box in the traditional position (at the back of the trunk, between the rear suspension towers). Front speaker install was straightforward, and my pair of amps sit vertically behind the rear seats on the back wall of the trunk, just clearing a strut brace between the two rear suspension towers. For the rear I'm considering wakeboard enclosures and then mounting those enclosures in the stock holes in the rear deck. I could also just have a sub box stuck in the trunk but that's ghetto. I also thought about putting each sub in an enclosure, one on each corner of the trunk, but then I wouln't be able to fit anything long in my trunk, like my guitars. Need my guitars! So, I've decided to convery the spare tire well to an enclosure for the subs. Just wondering who has had experience with this, if they have any pictures of their setup, etc. Depth is a slight issue - the speakers must be top mounted and a little more than an inch above the trunk floor to give the magnets enough clearance (the tire well is 4.5 inches deep). Instead of going with a false floor however, I really would like to engineer something that would "bubble up" around the speakers, providing speaker clearance, yet retain the stock floor height everywhere else in the trunk. There might be a topic on what you're looking for in his forum chats or it might be in his "how to" section. But scroll through his whole website...he has some funny videos about his car system!!! I used my spare tire well for amp installations with a custom exhaust fan to cool everything off. I have to get better pics but it looks great. Just a thought, but what do you intend to do with your spare tire? If you get a flat, you will be wishing you had it. Since you are wanting to still be able to use your trunk, it appears that you want a "functional" install. I would think keeping the spare tire would be one of those functional items that should be kept. Why don't you tote your guitars in the back seat or use the folding seats to tote something long. I did this in a Dodge Neon when they first came out. The Neons spare well was shaped like a U with the well going all the way to the rear seat. I put the spare up against the rear seat and built an MDF panel to cover the spare enclosure and create the surface for the sub and spare to sit against. Under the car, I bolted 1/2" x 3" plates to the well and then undercoated the hell out of it. Inside I used Dynamat...I wanted the well to be as dead as possible. Worked great....ended up with a first in class and a best of show. 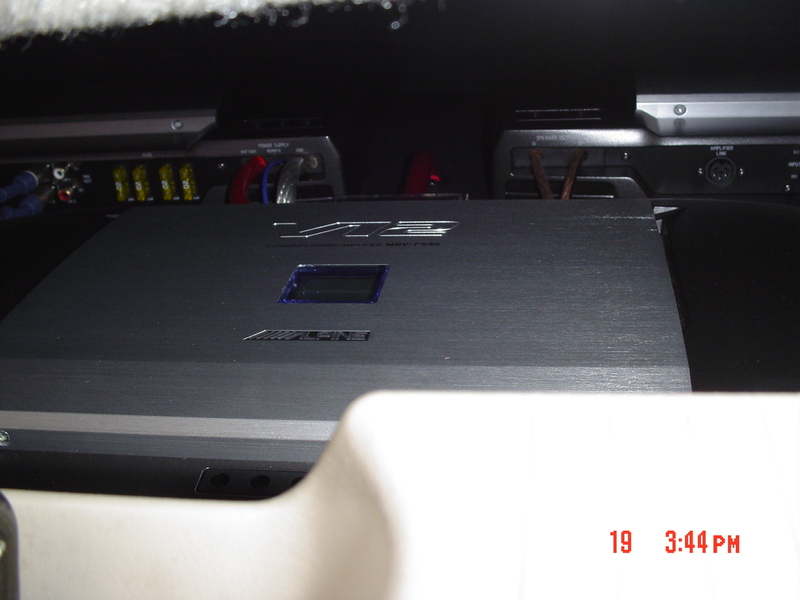 Speakers in this car were leftover Haflers that Rockford dumped when they bought them out, Magnadyne tweeters, Clarion head unit, EQ and amps. I had like $800 in the whole thing at dealer cost. I just spent a lot of time on the install.